It all begins with an idea. You have one, two, maybe a few you think are worth pursuing. It’s something novel. The next big thing in the industry. Something that fulfills a need you may have had a hard time satisfying. You work hard on your project, pursuing your vision, making your mark on the market until your brand catches the attention of conglomerates that want to enter into a business deal that will make you want to let go. Then you start all over again. This is exactly what happened in the cases of Red Ribbon’s hardworking founder Teresita Moran, who is now expanding their Amici and Cara Mia branches, and Teriyaki Boy’s imaginative former owner Bryan Tiu, who is constantly launching new restaurant concepts under his iFoods brand. Both have allowed buyouts of their previous brands and are now applying the lessons of their past passion projects into new brands. It was a busy afternoon for Moran. Their Cara Mia branch was doing brisk business, serving scoops of their signature creamy gelatos for those looking to cool off and coffees for those who wanted to wind down. She and her sons Philip, the general manager, and Paolo, the executive chef, are on hand and in attendance at the interview to help fill in the gaps about their family’s former business and the new ones they are now operating. It was a rocky start for them back in 1979. Some days, she would clear only P800. But then, her reputation grew among the Quezon City folk. “I guess it was because we brought the sosyal Makati vibe to the north at an affordable rate. People started flocking to us.” Soon, they had lines for their cakes and their dine-in section. They bought the adjacent 200-square meter space and soon, even that was not enough. “I remember, during Christmas time, when the delivery truck arrived, bumubusina pa lang siya, pumipila na ang mga tao.” Soon after, they expanded to several locations and started franchising. “What we really kept are our standards of quality and consistency,” Moran says. While things seemed to go smoothly, she was thrust into another challenge. The family moved to the US when politics started getting problematic in the country back in 1984. Some members of her family stayed behind to run Red Ribbon and she decided to open a branch in Los Angeles. “The ingredients were not familiar. Iba ang performance ng flour. It was hit-and-miss.” With her perseverance and what she calls God’s help, she was able to establish the brand overseas and it was even cited by the LA Times for its best-selling mango cake. Now there are 19 Cara Mia and Amici branches in total and they are beginning to offer franchising as well. 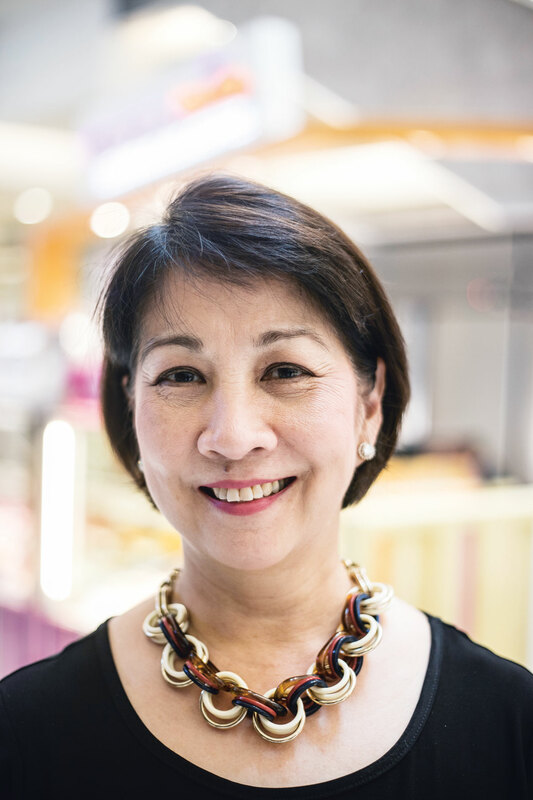 “When we started franchising Red Ribbon, we chose the people we partnered with. We were careful about the quality of the products. We would be very careful with the standards. We taught them forecasting and would have frequent visits to the stores to make sure that our policies were being implemented.” To this day, she jokes with her husband about going into a Red Ribbon and asking about expiry dates on the cakes. They were looking into ice cream cakes at the time Jollibee made an offer, and it inspired them to look into Amici and its gelato later on. “When we started with Amici, I guess the mindset was to just do exactly what we were doing in Red Ribbon, but we realized that nothing is set in stone and exactly the same.” There were changes they had to make. 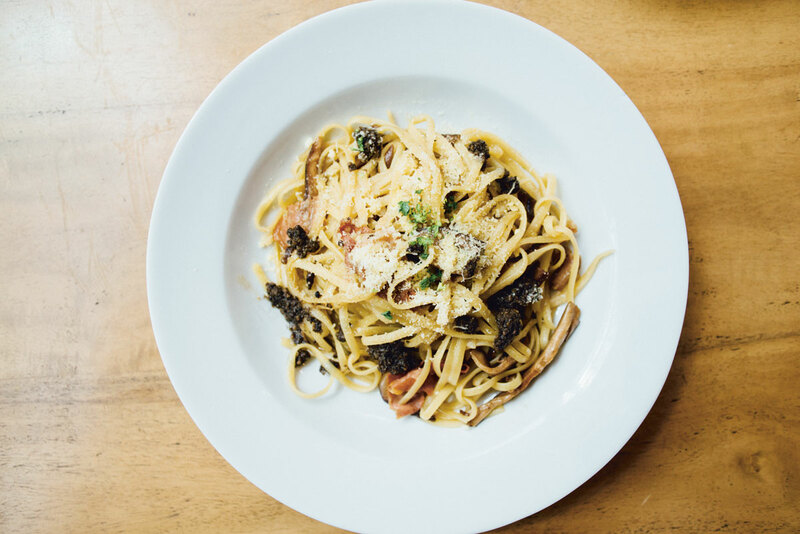 Red Ribbon had 150 locations and a central commissary, while Amici and Cara Mia’s are about authentic Italian cuisine and needed more flexibility with culinary experimentation. They also reach a different market segment. “What we really kept are our standards of quality and consistency,” she says. Moran has been and continues to be hands-on with her business. She talks about her business philosophy: “We have always carried on quality, honesty, and integrity. We are always honest in our dealings and we like to take care of our people.” They have instituted values formation and family enrichment classes for their employees, she reveals. The end goal is not just to promote good customer service, but to make sure that their employees live fuller lives. Her advice to would-be food entrepreneurs: “It’s okay to dream, but you always have to learn to work on it yourself. That is how I started it. Some people have the money or the means so they get someone else to set up or run their business. For me, it was important to personally understand and really love what I am doing.” She is currently looking into offering more cakes at Cara Mia and things are looking sweeter. Bryan Tiu in the middle of all the kitchen action in his latest food endeavor, Ichiba. 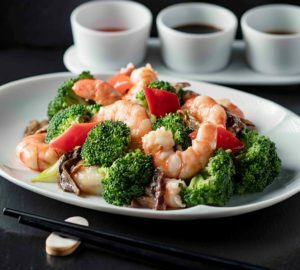 As the president and CEO of iFoods, Tiu has several restaurant concepts in his portfolio. His venture into the world of food businesses started when he was a cocky college kid—and for a reason that is hilariously epic. “My family has a textile business based in Divisoria. During summer, I would be constrained to work there. I was frustrated kasi ang traffic and I would have to pass through the wet market to get there. Tapos, walang aircon. That gave me the drive and inspiration to go into a food business kasi may office and aircon,” he grins. “I look at the market and I look at what is going on abroad and see if I can adapt what is there. What I look for is flexibility to gear the brand towards what is acceptable to the local market. We look for a business that is a little complicated,” Tiu says. When he was in his third year of college, he picked up a Domino’s Pizza franchise. This grew to four stores until he, as with many others, was hit by the Asian financial crisis. “That crash and burn was my master’s degree in the food industry.” At the age of 21, armed with the resilience of youth, he started another venture. This time, he was looking to strike out on his own. 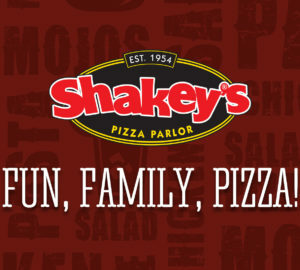 “When you are a franchisee, there are a lot of limitations,” he explains. 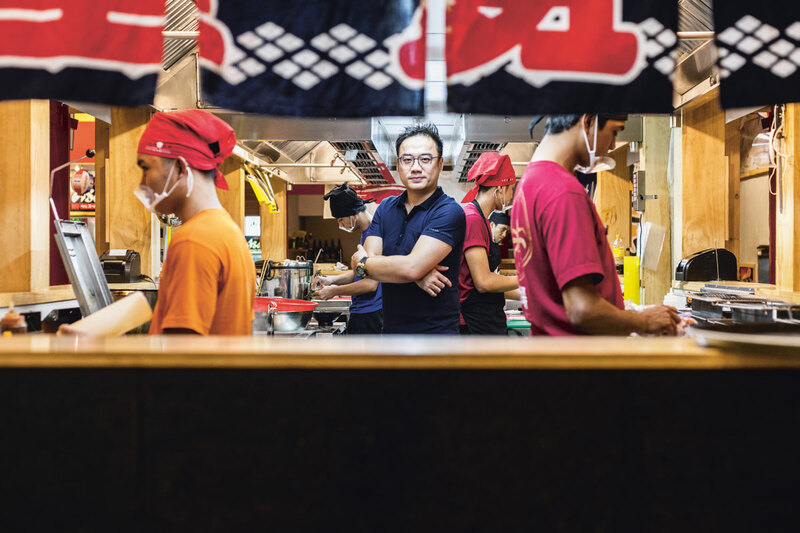 He studied the market and noticed that there was a gap when it came to Japanese food. “You had your pricey high-ends like Sugi and the other restaurants with unpronounceable names, then fast food places like Tokyo Tokyo. I wanted to be in the middle, with fast casual.” A friend from Canada mentioned that the popular places there were Sushi Boy and Teriyaki Experience, so he came up with Teriyaki Boy. “Galing ka sa lugi so medyo kinakabahan ka, so all I wanted was one successful store,” he recounts. He was 23 at the time. Ichiba restaurant provides a vibe similar to the typical food joints found in Japan. His concept struck gold and soon he began to expand. “Tinamaan ko yong 5Ps of Marketing (product, place, promotion, price, and profit), and went on from there. It was a good break. 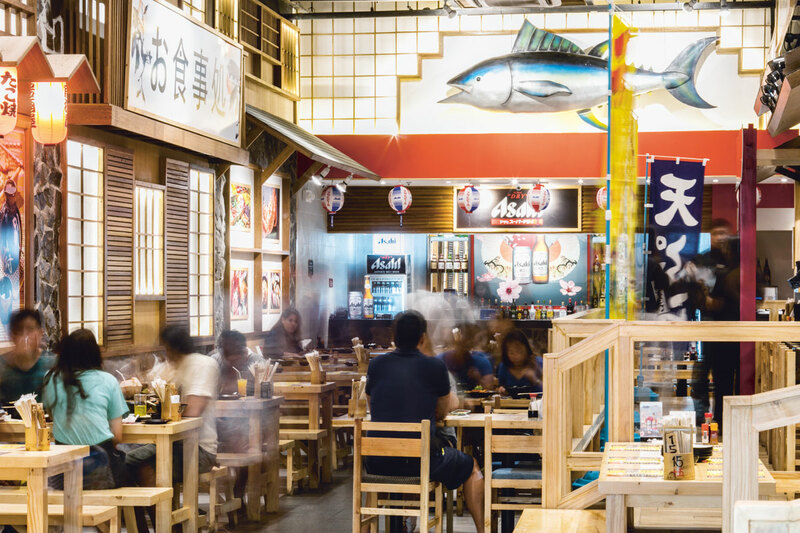 It offered what people were looking for, which is a casual Japanese restaurant with relatable offerings.” His company grew from an office staffed by two people to 10 company-owned branches by 2005. It happened that one of their satisfied customers turned out to be Martin Lorenzo of the Pancake House Group. “I guess if you are looking into selling your business, it helps if you are located kung saan nakatira yong owner of the bigger group,” he chuckles. A meeting was set, their portfolio was looked into, and the Pancake House Group made an offer. “It was a good offer, from an entrepreneurial mom-and-pop operation like ours, they were going to have more structures in place and it will be part of a stronger company,” he mused. Tiu eventually signed over 70 percent of their shares. “I was lucky to have gone to the Domino’s headquarters in the US to train for a month. I realized the importance of having mentors in operations and finance and making professional friends. I am just an entrepreneur. I need people who can guide me,” shares Tiu.